Buying or selling a property in Arizona is a big decision, which is why it’s more important than ever that you choose the right real estate professional to be on your side. We’d love to work with you! Learn more about us and why we do what we do. Northwest Valley is an amazing area and we’re proud to call it home. Because we love living and working here in Arizona so much, it makes it easy to help local families and investors buy and sell local properties. We stay current with all the trends and technology developing in the real estate world. We utilize ground-breaking methods to help our clients with their property! While some agents will shy away from new technologies, we happily embrace it! For Northwest Valley house sellers, we will work with each and every client to utilize the digital strategy that is best for them! Knowing the local Northwest Valley Arizona real estate market like the back of our hand should be a given for any real estate professional you consider working with. Market knowledge can be the difference between you overpaying or getting a great deal, finding the right property or missing it, and buying a property fully informed or missing critical things during inspection that can cost you. We are provide full-services, including handling the marketing, preparation, negotiations paperwork and more. Let us handle all of the details so you can enjoy the benefits of buying or selling in Northwest Valley Arizona and the surrounding areas! Our passion is to help people love where they live by sharing what we know. We love to educate homeowners and will always put people before things. If you want to chat real estate or even just connect for a quick coffee, reach out to us anytime! 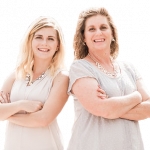 – Desert Charm Living Real Estate Team: Helping You Love Where You Live. Let us help you buy or sell your Arizona Home today! Give Us A Call At (602) 529-3380 or Send Us A Message Here!